If you love Detroit then you too must have been excited to to hear about this latest plan to clean up our city. By auctioning off this distressed properties for as low as $1,000 the new Mayor Dugan is hoping that he can help stimulate the local economy a little and at the same time increase residents comfort that the area has the potential to actually make a come back. At American Standard Roofing we have a full time team of dedicated roofers committed to making this ambitious project a huge success. We are working closely with the local government to make sure these home have proper roofs installed on them and are fully inspected to ensure the best quality. It is no revelation to here that Detroit has gotten a whole lot of bad press these last couple decades and many long time residents have given up hope. Between the violence, break ins, and other general criminal activity our city has become a stereotypical punch line nationwide. Well enough is enough and we are now helping you draw the line by providing you with this important information to keep the scam artists from contracting any work for you. 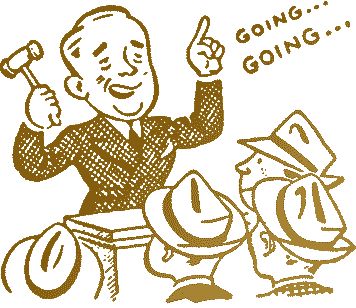 The biggest problems that we have personally seen happen for one simple reason, the unfortunate people purchasing these auction homes tend to be inexperienced. They are from a younger demographic and many of them are first time home buyers. This is a very exciting time for them but predators are taking advantage of this emotional vulnerability by selling them home improvements that they don’t need, that they are incapable of properly completing, or are just outright stealing these victims money as soon as they give up a deposit. The first thing that you want to fix up on any rehab house is going to be the roof. Unless you prevent any further water from coming inside the new home then it is not worth even starting another project. That being said, it is OK to get bids to complete other things such as electrical upgrades or interior painting and then you can plan accordingly to have these projects completed. Now that this point has been made clear you need to choose wisely when doing business with any roofers. Just as the city of Detroit has had their reputation tarnished this humble trade tends to suffer from the same ill fate. In all honesty, this stigma is quite deserving as there are many other people and companies out there doing more harm then good. Please refer to the other articles that we have written to further educate yourself about typical scam techniques, the links are provided at the end of this article. The bottom line here is that it does not matter how much you may have paid for an auction property or if you have lived in the city your entire life. You need to make sure you are making smart decisions when undertaking any major home improvement project and if you cant decide where to begin because there are so many problems you need to address, always start with the roof.